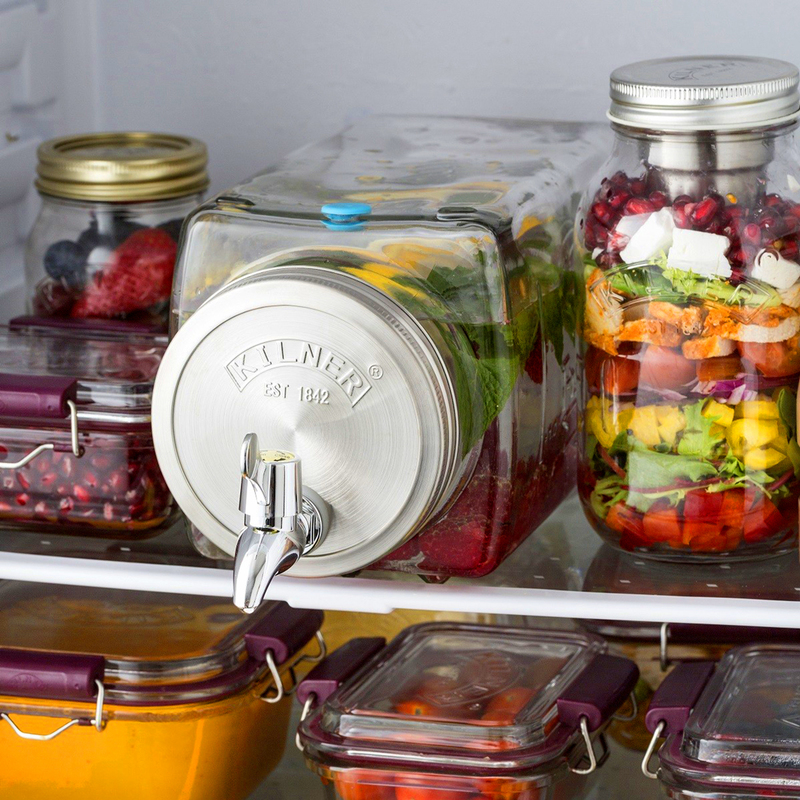 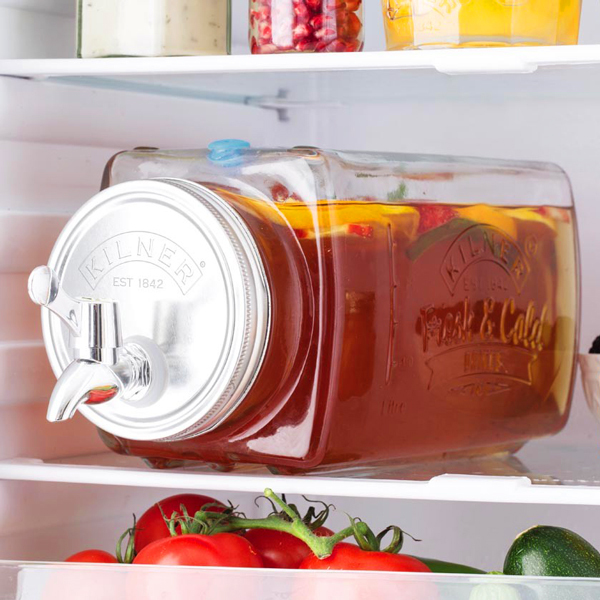 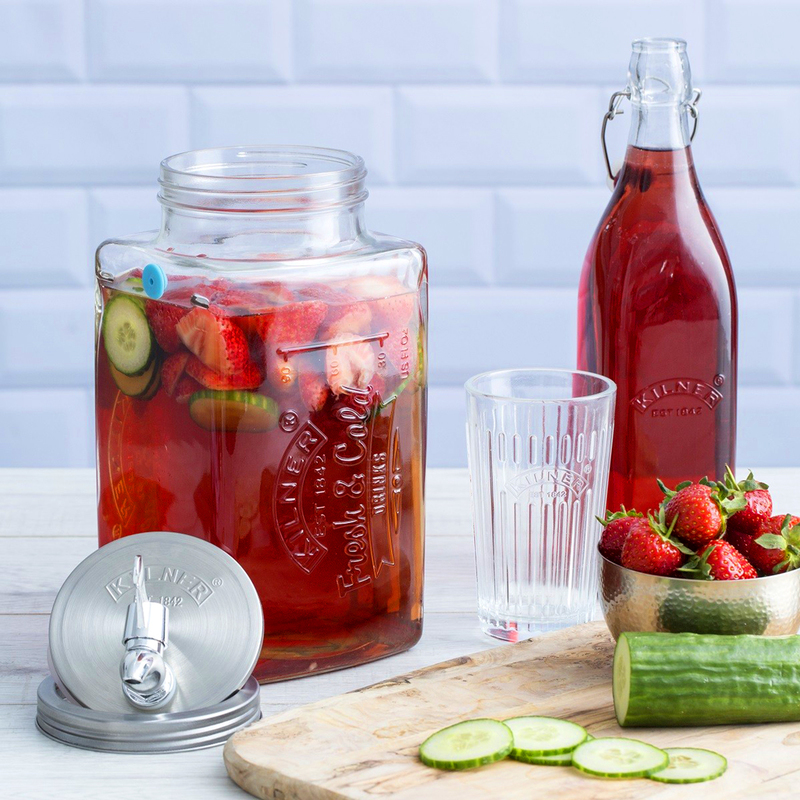 Designed to fit in most standard fridges, this Kilner Fridge Drinks Dispenser is ideal for storing and serving straight from the fridge or at the table. 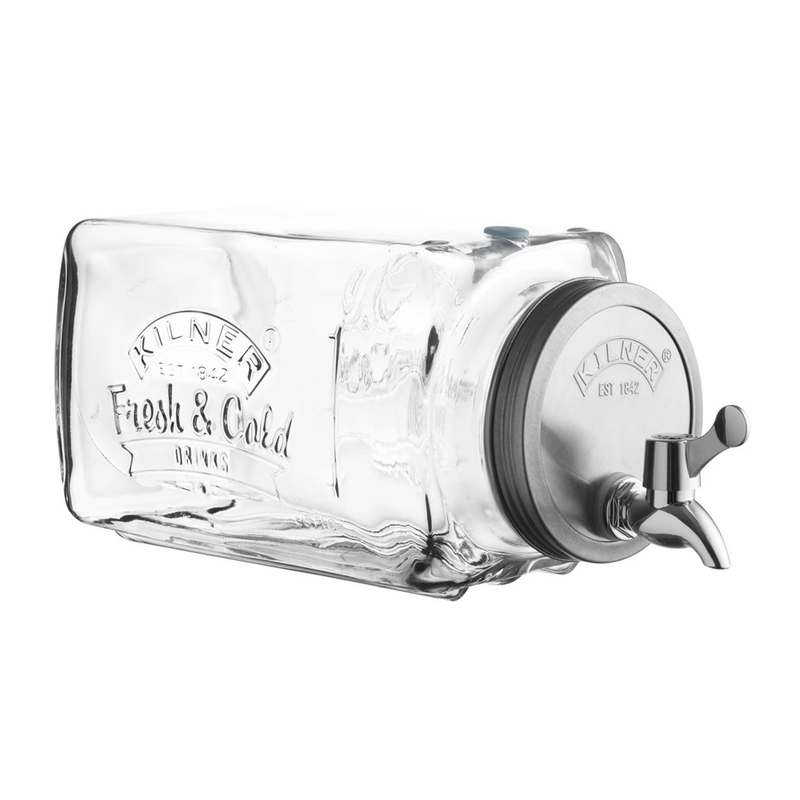 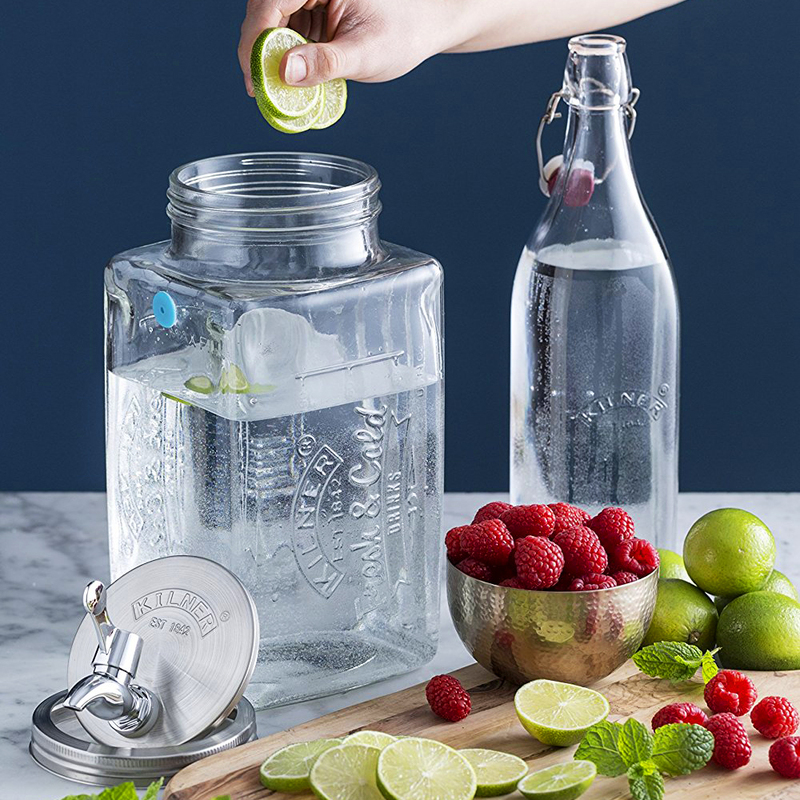 With the ability to keep drinks cooler for longer, this beverage dispenser is perfect for serving extra cold water, punch, juices or cocktails. The 3 litre capacity can also be valuable to ensure you reach your recommended daily water consumption. 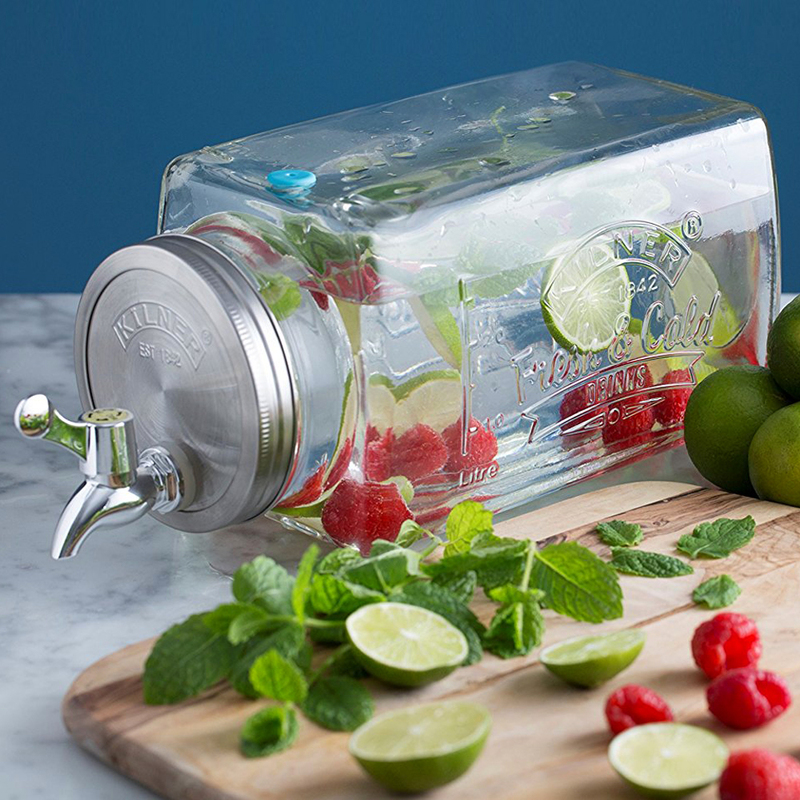 An easy pour pressurised valve tap ensures smooth dispensing every time, ideal for effortless entertaining.